Yes. It’s official. At age 48, I have pre-cancerous cells on my nose. Luckily, it’s nothing I have to be worried about because I’m good at staying on top of these things with regular skin cancer checks. However, I know many people are not and the traditional information given out about what to look for doesn’t cover some of the hidden signs, such as what I experienced with my face. This post might very well save your life so please read this. When it comes to detecting skin cancer, it has long been promoted to watch your moles and see if they are changing in color and size over time. If anything looks suspicious, you’ve been told to get them checked out. While this all still holds true, there is much less awareness is with general changes in the skin that may be hard to detect since they aren’t actual moles. This was the case in my skin with having pre-cancerous cells. What do pre-cancerous cells look like? They can start as red patches or just a red spot often associated with dryness and flakiness on top. As you can see (ever so slightly) in the picture above, is a little red patch on my nose. (By the way, I’m a skin type #2. 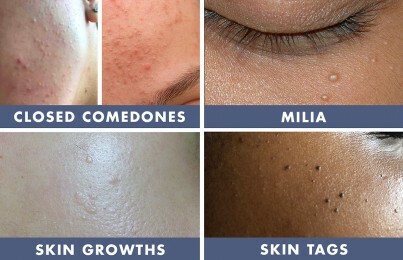 See these nine skin types to find out yours.) There were no signs of dryness so I wasn’t thinking it was much of anything. (However, my moisture barrier is in good shape so flakiness is not something that would ever show up on my skin anyways unless I had a chemical peel or something that is intended to cause dryness. Having a healthy moisture barrier is super important and you need to know more about it. Read this.) After a month of it hanging around, I knew what it wasn’t normal so I scheduled an appointment with a dermatologist here in Austin where I live. As I had expected, she diagnosed me with what is known as actinic keratosis (AK for short). There are many stages of skin cancers but actinic keratosis are the pre-cancerous cells long before it turns into a more dangerous type of cancer. She used the standard treatment for removal, which was cryotherapy. This is liquid nitrogen that freezes off the affected cells. The procedure burned a bit and I was left with a dark, bumpy scab for about a week. When the scab came off, I was left with another red mark from the discoloration of the burn, similar to a post-breakout mark that people can get after the blemish has healed up. To encourage the healing process and to smooth out the texture, I got back to using my retinol serum (Advanced Resurfacing Serum) and my Triple Berry Smoothing Peel and now everything is healing up really nicely. 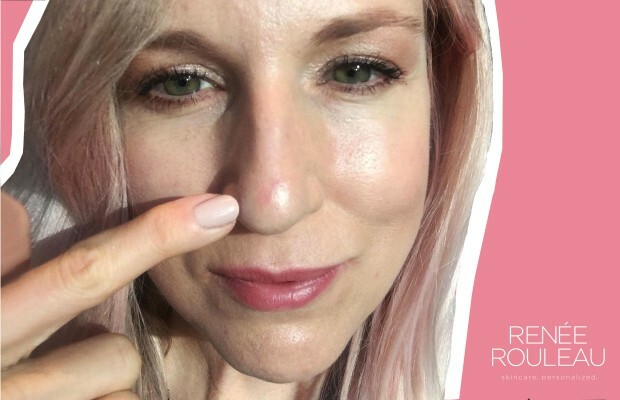 As an esthetician who works hands-on with skin, I have had many clients through the years, particularly those ages 45 and up, that have had small red and flaky patches on their nose or face. They thought it was dry skin only to find that all the exfoliation and moisturizer in the world wasn’t going to take care of it. If it’s not caught early, it can enter into the more serious stages of skin cancer and require something called Mohs surgery. This is where the skin is taken out of the nose or face and for some, (like my mother), requires serious reconstructive surgery depending on how deep the cancer is. (Skin cancer is not fun. Google it. You’ll see what I mean.) 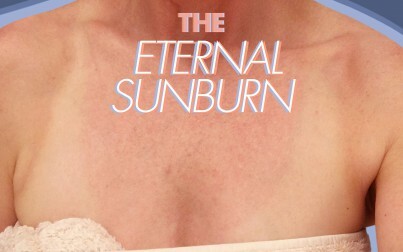 In even more serious cases of skin cancer, it can lead to death. 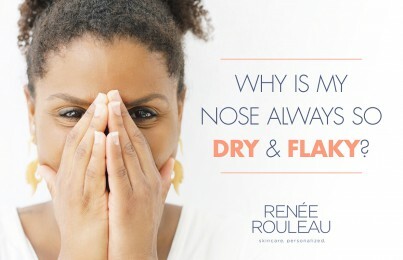 What’s important to know is that the nose area, in particular, must be given extra attention when caring for your skin. In my experience, the nose seems to be the place that many are prone to getting skin cancer lesions and unhealthy cells as I can personally attest to. Of all the places of the face, I believe the nose is a vulnerable area for three reasons. 1. The nose protrudes and is front and center of your face. This makes it harder to get protected by sunglasses or a hat. After all, sunglasses can act as a reflector that could be causing more sun to get on the nose. 2. The nose gets sunburned a lot. I have observed that when people apply sunscreen, they take their fingertips and kind of go down the sides of their nose into their cheek area but they are forgetting to apply it directly down to the top of the nose along the bridge. However, it’s important to know that the challenge of watching them yourself is that skin cancer can be slow-growing that it’s hard to notice changes. This is why it’s so important to go see a dermatologist once a year as they can easily detect things that you might not have ever seen. As an esthetician, one of my responsibilities is to look for anything out of the ordinary with my client’s skin and encourage them to get their skin checked. Healthy skin is everything. I hope you found this post helpful and it will make you look extra close at your own face and check for any areas that don’t look quite right. Want to learn more about skincare? Read these 5 skincare mistakes almost everyone makes.